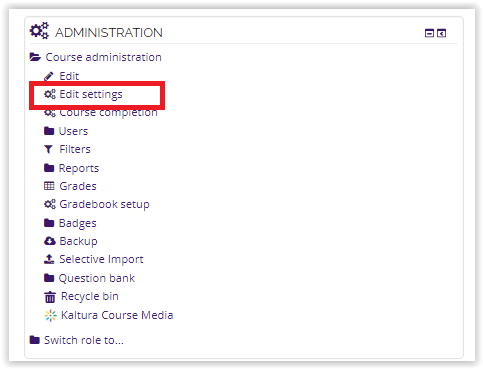 Moodle courses now have the option to be displayed in different themes. 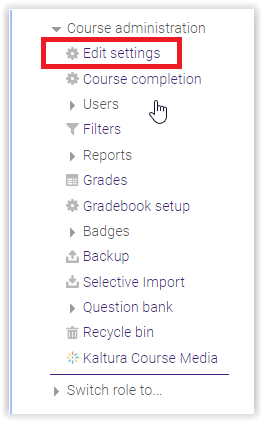 Along with the traditional Essentials theme, instructors can now use the newer Snap theme. This article contains information on how to change between these two themes. 2. In the Administration Block select Edit Settings. 3. In the appearance section, these is a dropdown box that is labeled Force Theme. Choose the SNAP option for the menu. 4. Click Save and display. 1. On the course page that you want to change, click the Settings button in the top right corner of the window. 2. Click Edit settings from the menu that appears. 3. 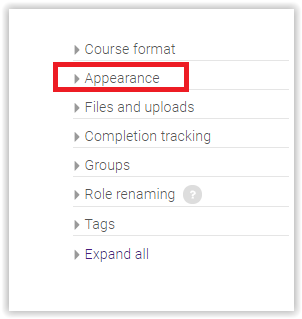 Click on the Appearance tab from the course settings list. 4. Change the theme by using the Force theme drop down box. Click Essential to change the theme back to the traditional setting. 5. Click Save and Display.